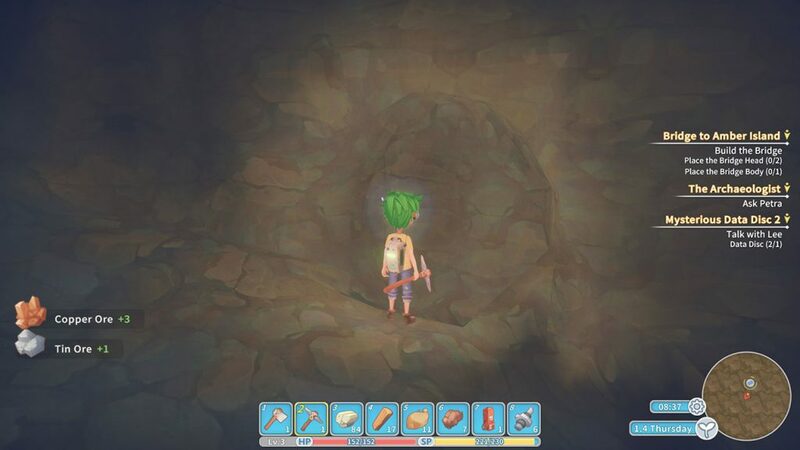 Copper and Tin ore are very important materials in My Time at Portia, you’ll need them a lot. Some of the main uses for them are Bronze and Copper Bars, which are broken down into further materials such as bronze plates, copper pipes etc. Thankfully, these ores are really easy to find and gather. You’ll need to have access to the Ruins, which you can get really earn into the game for the cost of 80 Gals. You’ll also need a pic-axe of course. Below, we have a quick guide on collecting Tin and Copper in My Time at Portia. Whilst we’ve covered more guides for game which can be found here. 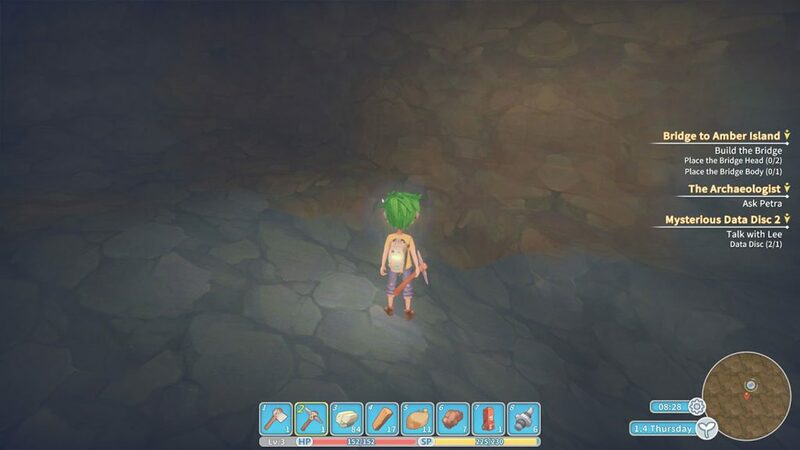 You can actually collect ores by mining rocks that you find in the game world. Although they are very small amounts. Instead, head into the Ruins. Whilst the ruins look empty, you actually need to mine the ground. Look for a change in color. On the image above, the grey area will give normal stones. Whilst mining the brown area will provide both tin and copper ore.
You’ll find a lot of the ore area in the Ruins. Once you’ve run out, you can exit the ruins and pay 20 Gals to change the level. This will essentially reset the area and spawn new ores and relics.